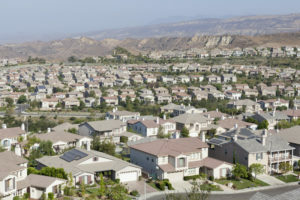 Aliso Viejo is a suburb of Los Angeles and is rated as one of the best places to live in the state of California. Here you will plenty of superb restaurants, parks, and of course coffee shops. Moving to a new area no matter how great it might be, can be stressful. One of the best ways to ensure your move goes smooth is to find a team of local movers in Orange County you can trust. At Priority Moving we know the Aliso Viejo, CA area like the back of our hands and are here to help make your move go smoothly. Our teams are here to help and offer these three great places for you to visit once you’ve moved in. Heisler Park is one of the most popular places in town running along the bluffs of Cliff Dr. The park stretches from Aster St to Diver’s Cove and offers hiking trails, gardens, places to picnic, lawn bowling, and much more. The gazebo here is a popular place for weddings. When you need a little “retail therapy,” the Irvine Spectrum Center on I-5 over in Irvine has a little something for everyone including shopping, dining, and entertainment, including a giant Ferris Wheel and a carousel. You can’t live in Aliso Viejo without taking at least one trip to the Mission San Juan Capistrano to see the Annual Return of the Swallows. You can visit the Serra Chapel and view a number of permanent exhibits including rare paintings, historical religious artifacts and enjoy the stunning gardens. When it comes to moving into the Aliso Viejo area, you need a team of local movers in Orange County that knows the area. While any moving company can move your household goods here, it takes a company that knows the city, the best times to bring your goods to your new home to avoid causing traffic issues and be sensitive to your neighbors. As one of the top-rated local movers in Orange County, CA, Priority Moving knows the Aliso Viejo area well, and we are here to make sure your move goes as stress-free as possible. For more information on our services and things to do in Aliso Viejo, contact us at (858) 256-4808 and let’s get started today!